Nowadays, protection is a fundamental site management factor. 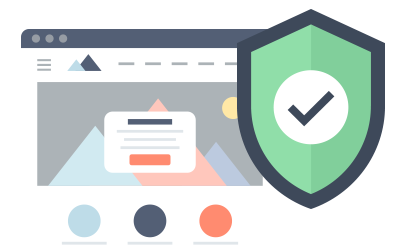 With an SSL Certificate installed on your site, your users' personal info as well as your status as a trustworthy company will remain unharmed. Actually, due to the fact that Google declared their intent to give a ranking benefit to SSL-powered internet sites, SSLs have become essential even for non-commercial online portals. Tierra Hosting offers you budget friendly SSL Certificates with strong file encryption and re-issue options. Our 30-day money-back warranty will allow you to try our protection services at no risk. Why get an SSL Certificate from Tierra Hosting? The 256-bit encryption shall require so much resources and time to be hacked via a brute-force attack that it's believed to be nearly impossible. You will get a refund within 30 days in case you are dissatisfied with our services. No question asked. Our technical support team is online for you 24x7 to respond to all of your inquiries or help requests. Excellent for individuals who only want a minimalistic personal website or a blog. Best suited for people who want to create a popular online shop. A reasonably priced shared hosting plan, ideal for complex personal websites. The best choice for hosting several websites in just one shared hosting account.